to crush Arabi's revolt. 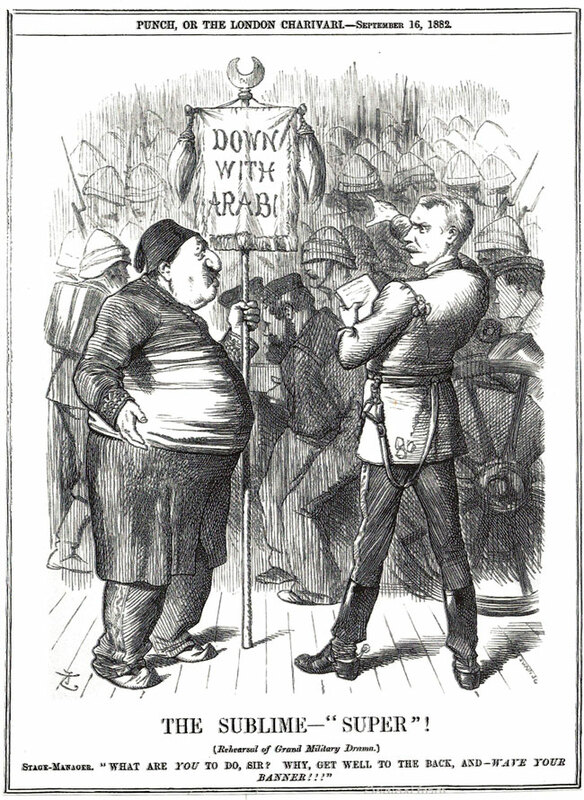 The Khedive was restored and Arabi sent into exile. 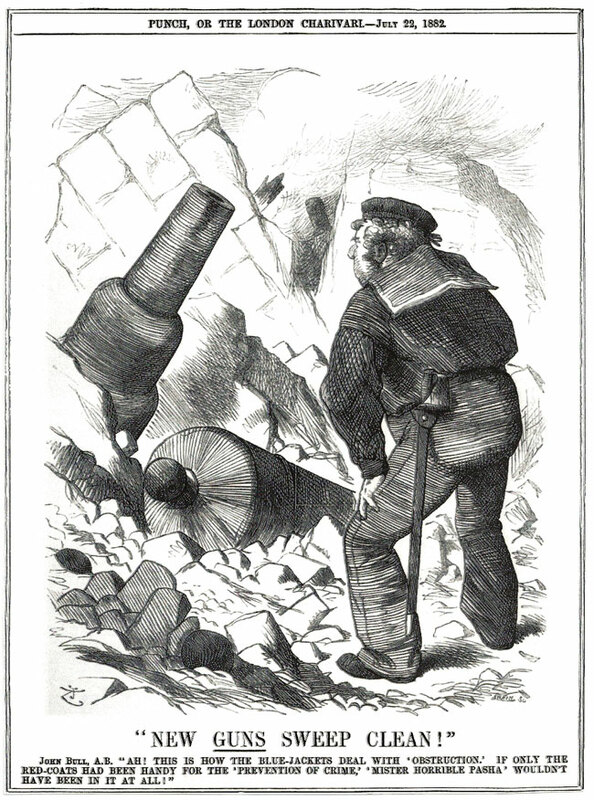 Two Colossi wearily joined at the hip. 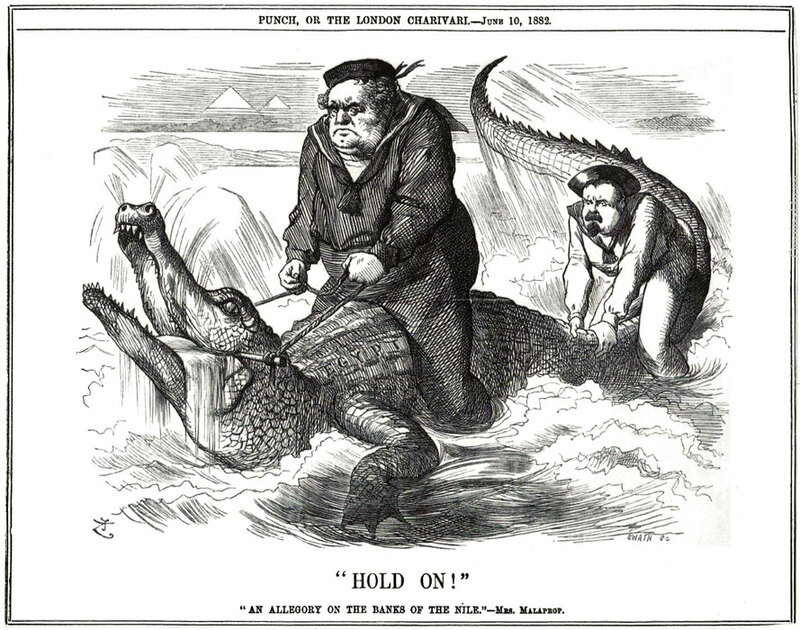 John Bull tames the Egyptian crocodile. 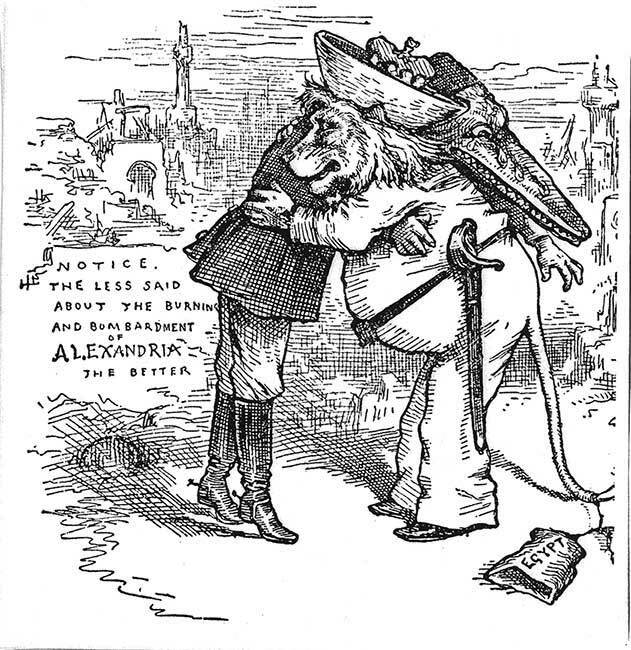 The British navy bombards Alexandria for 10 hours, then lands an invasion of the city. 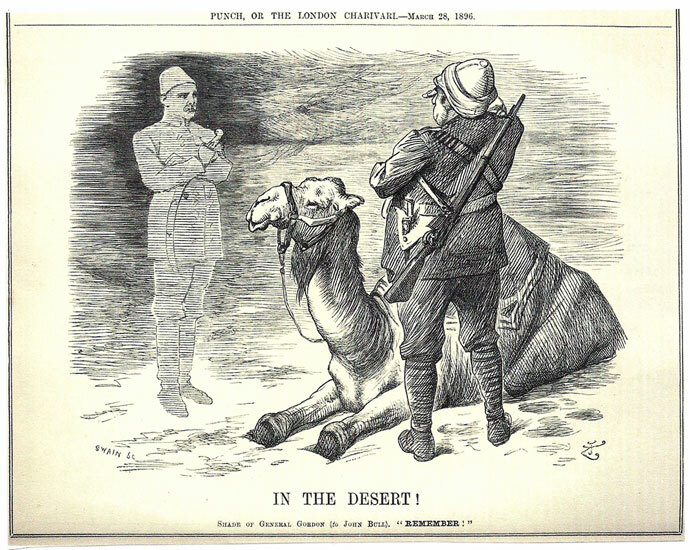 Tears aside, the British Army moved on the Suez Canal and occupied Cairo. 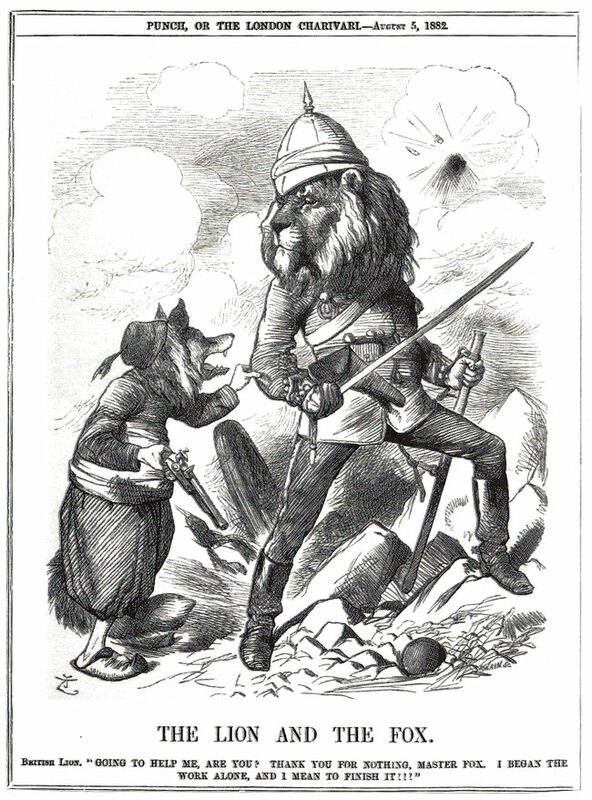 British lion to the Turkish fox, "you may be here de jure but I am here now de facto". 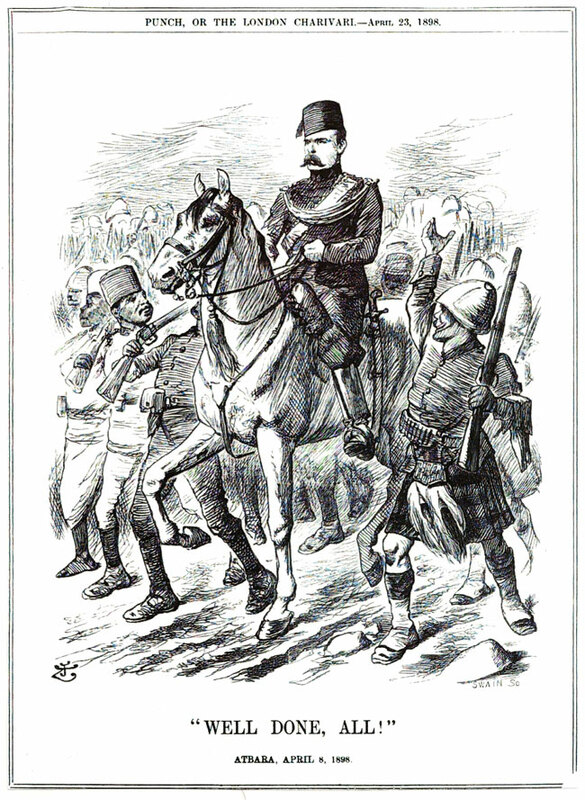 General Wolseley is in effect informing the Turkish Sultan that his services are no longer required in Egypt. 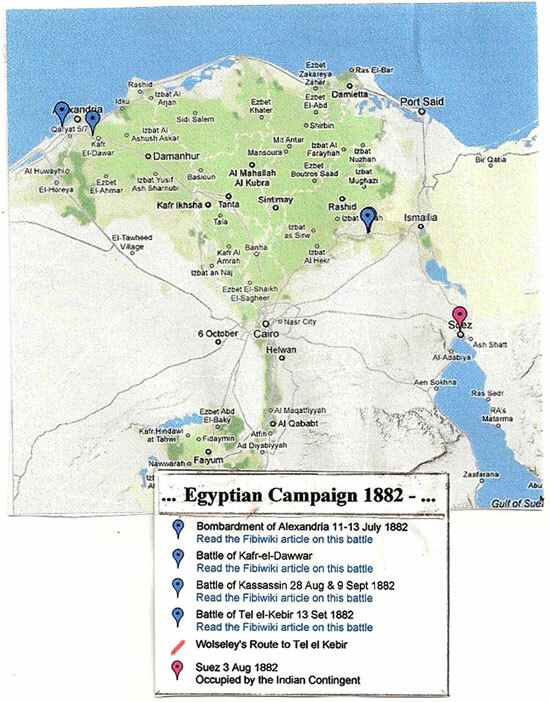 General Wolseley defeats Egypts Arabi Pasha's forces. 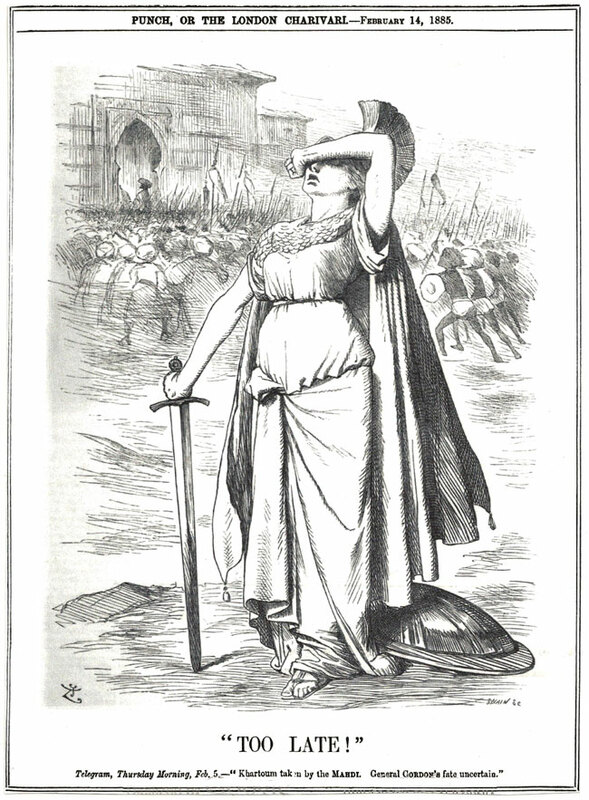 "Veni, Vidi, Vici" - "I Came, I Saw, I Conquered". - Julies Caesar, 47 B.C. 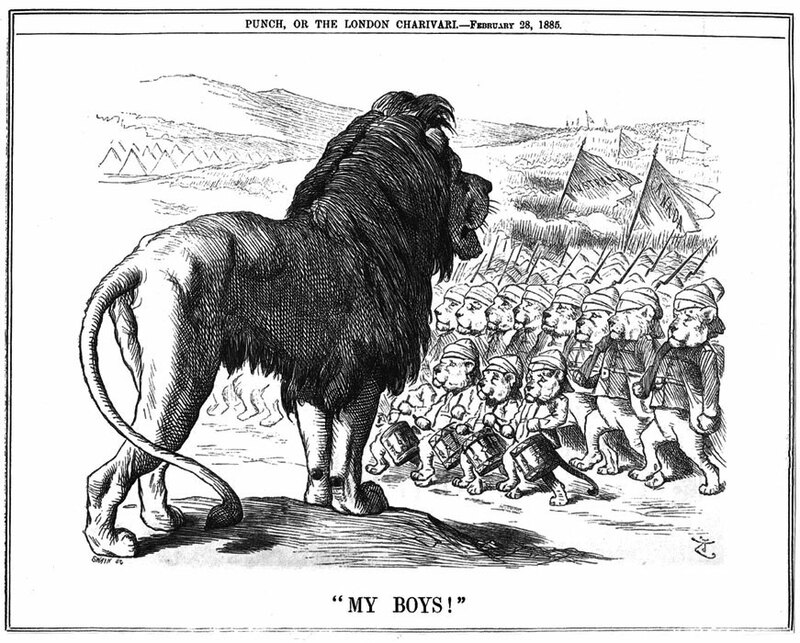 Great Britain declares Egypt 'A British Protectorate'. 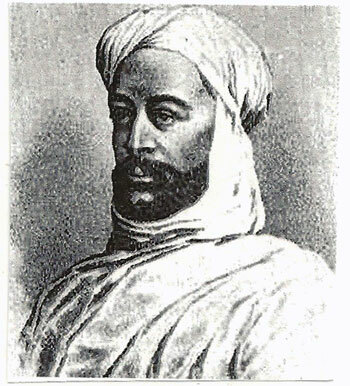 Arabi Pasha was defeated and captured at the Battle of Tel-el-Kebir. He was commuted to exile in Ceylon. 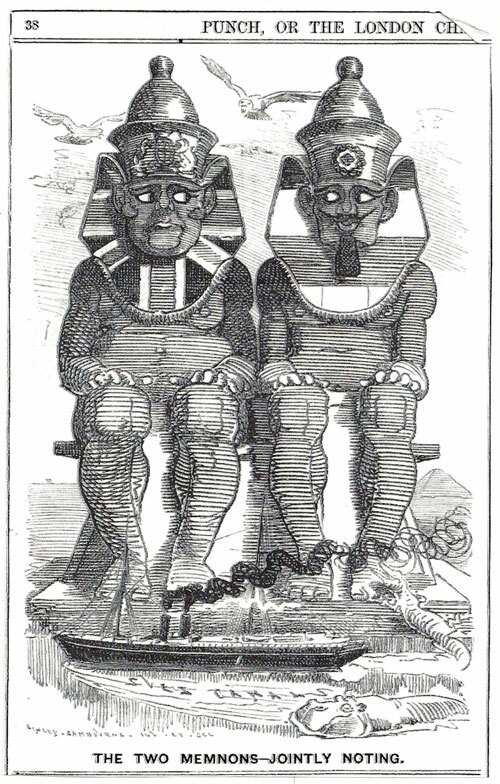 Returned to Egypt in 1901. Muhammad Ahmad - the self proclaimed Mahdi. united the Sudanees into a Pan-Tribal army and with surprising success. 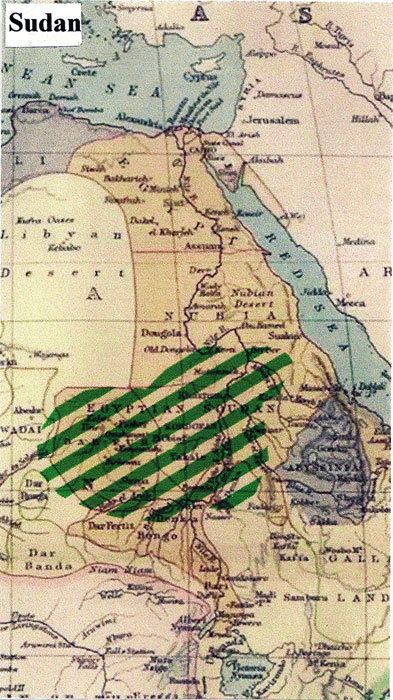 establishment of the Mahdist state over much of the Sudan. 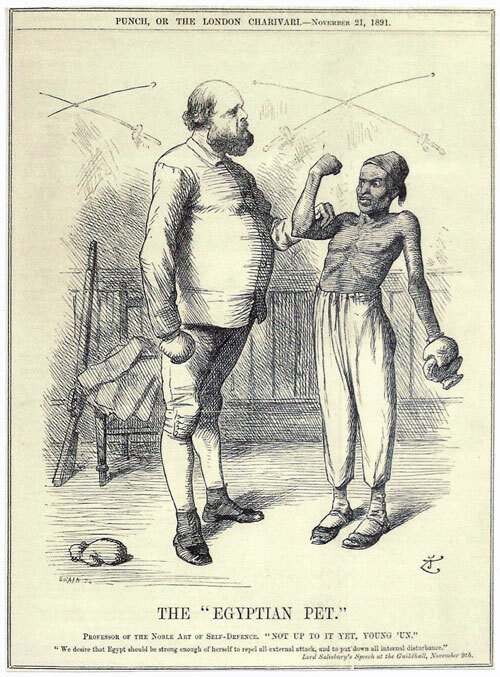 He died in 1885. 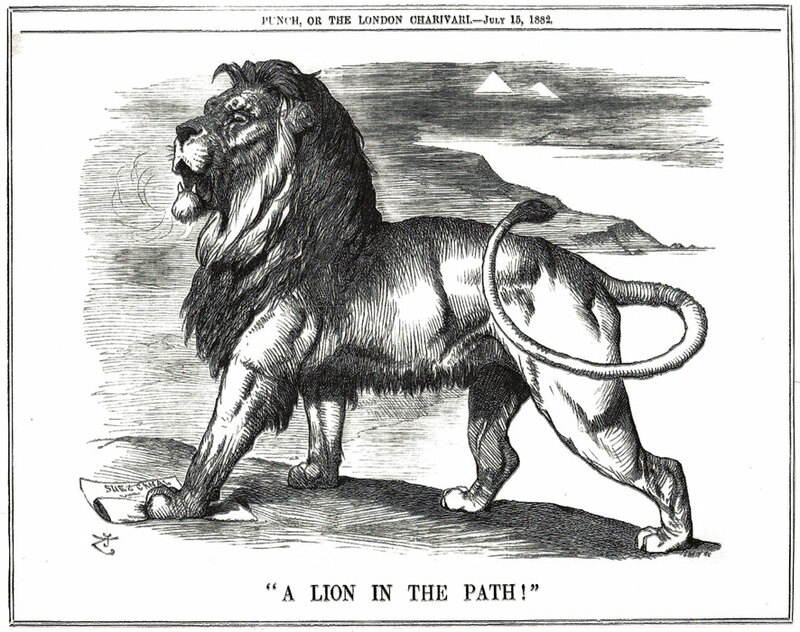 It took Great Britain another 14 years to reassert its' power over the Sudan. By land by sea by camel? 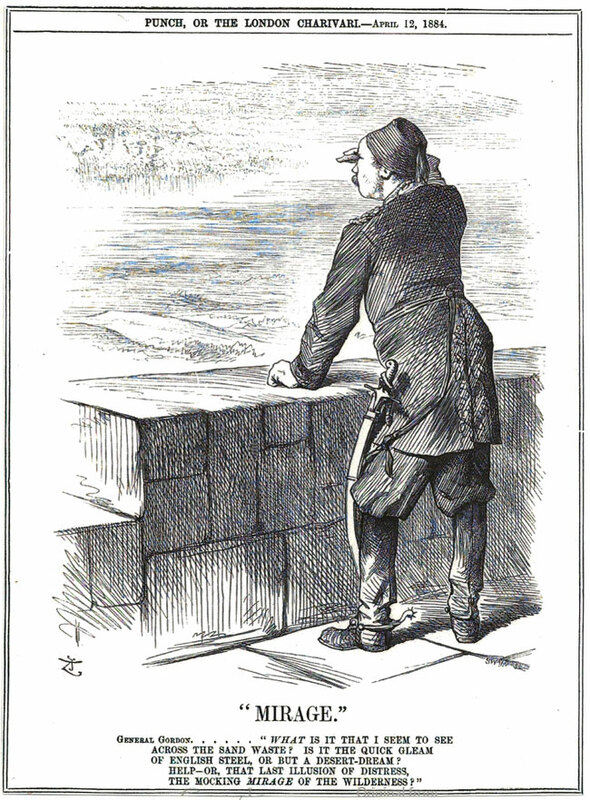 General Gordon anxiously awaits a British relief force. Khartoum was completely cut off by the Mahdi army. 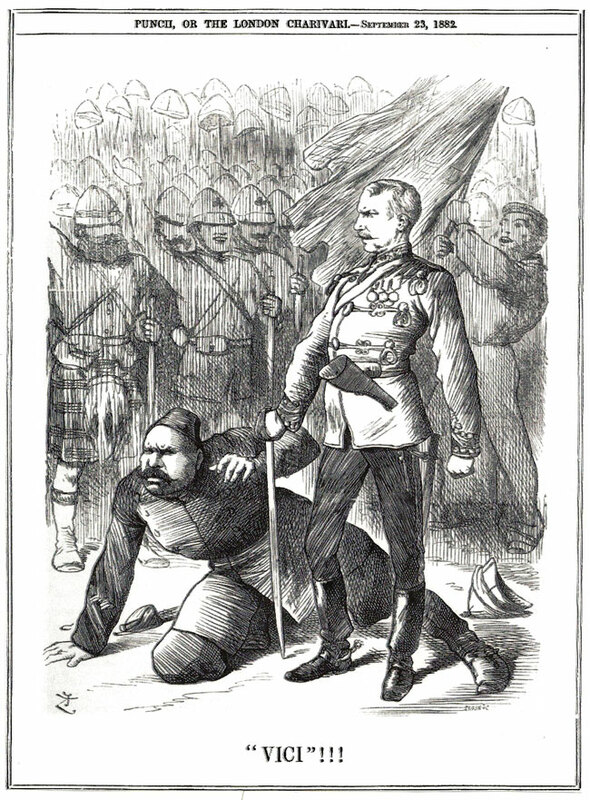 Khartoum fell to the Mahdi January 26, 1885, and General Gordon slain. 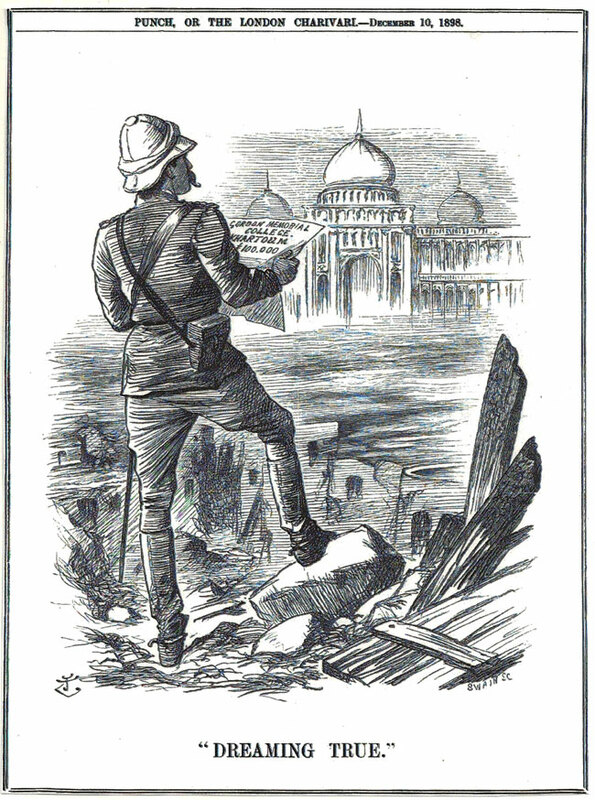 Two days later the steamers reached Khartoum. 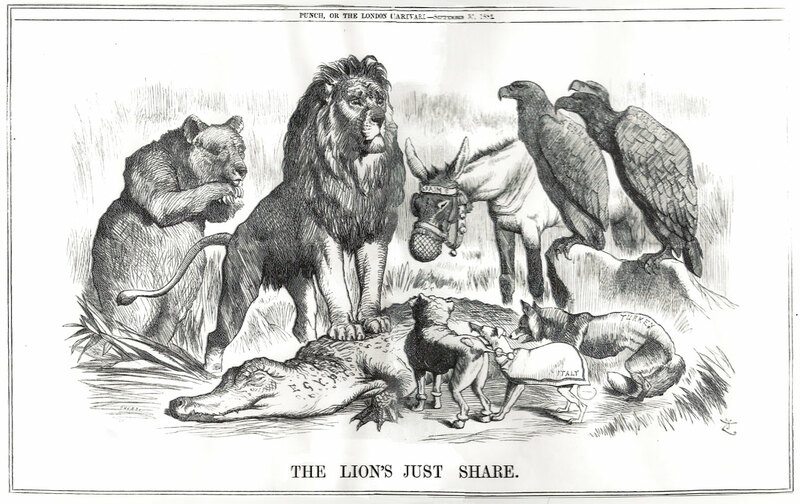 Australia, Canada and New Zealand pledge military assistance in retaking the upper Nile. 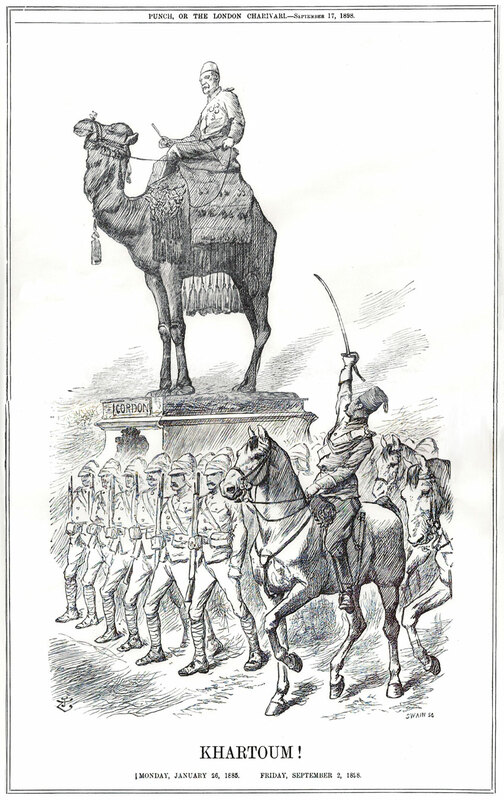 British Prime Minister, Lord Salisbury, calls for a reformed Egyptian army trained by British officers. 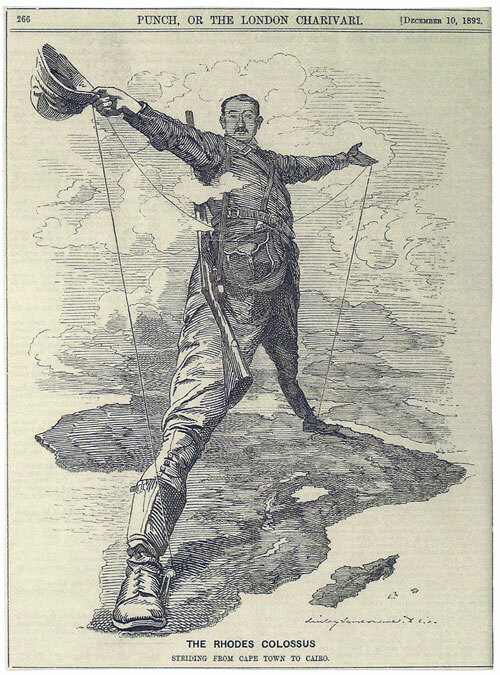 Cecil Rhodes' imperial vision of contiguous British territory between Cape Town, South Africa to Cairo, Egypt. 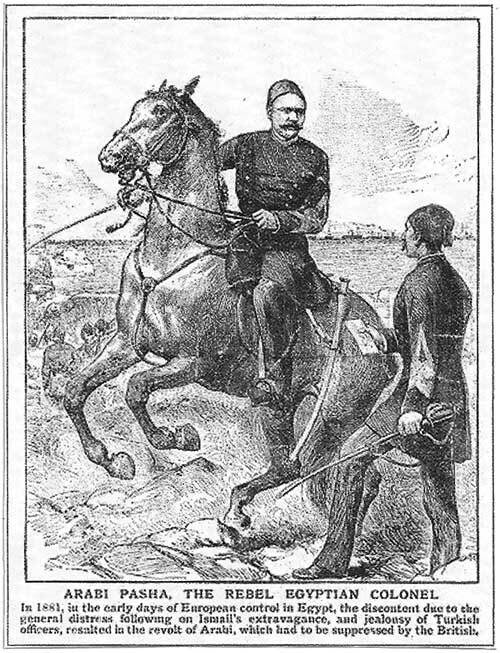 General Kitchener, the Sirdar, led an Anglo-Egyptian army to reconquer the Sudan and avenge Gordon. With dicisive victorys at Atbara and Omdurman, the Mahdist state was no more. The re-conquest of the Sudan is complete. The Gordon Memorial College was officially opened in Khartoum by General Kitchner.